Port Isaac has been an attractive fishing village since the early fourteenth century. 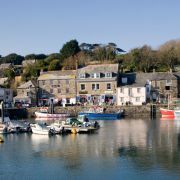 Its narrow, winding streets are lined with old white-washed cottages and traditional granite, slate-fronted Cornish houses, many of which are listed as of architectural or historic importance. 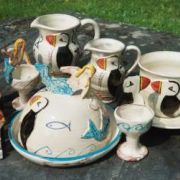 From the Middle Ages until the middle of the 19th century, Port Isaac was a busy port handling various imports and exports, including coal, timber, pottery and Delabole slate. 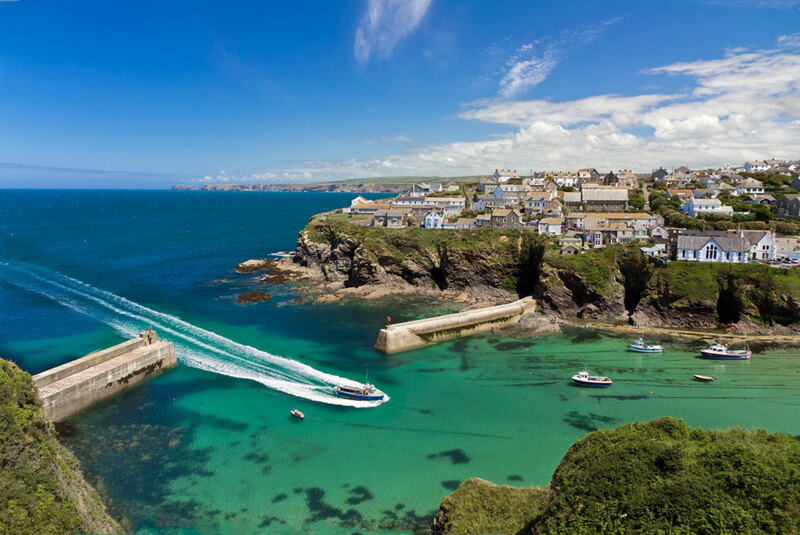 In fact the name Port Isaac is derived from the Cornish Porth Izzick meaning the 'corn port'. After the advent of the railways, it became principally a fishing port. 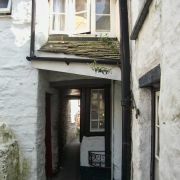 A stream runs through the village, finding its way into the sea over the harbour wall. 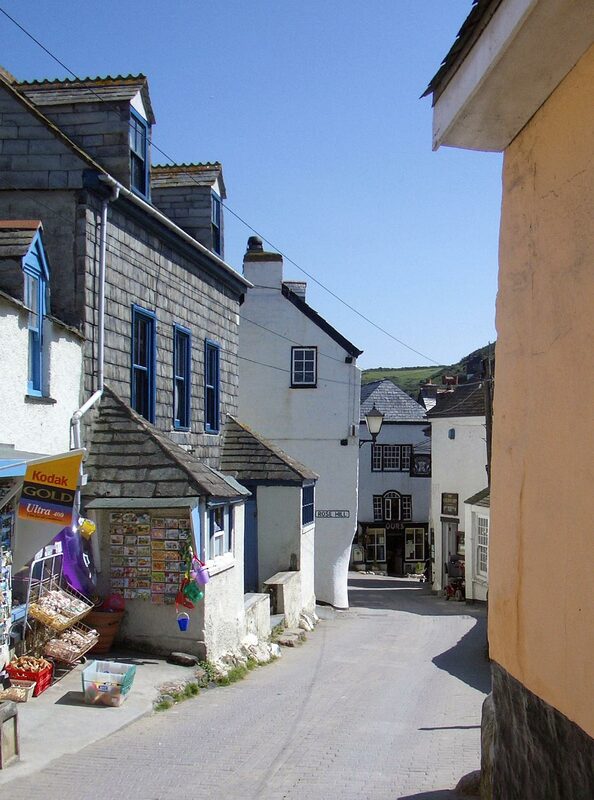 Visitors are advised to use the large car park at the top of the hill and to walk down to the village, as the narrow streets can be difficult to negotiate. 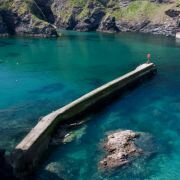 There is a stunning view of the coast from this car park, in addition to easy access to both Port Isaac and Port Gaverne. On the subject of narrow streets, Port Isaac is renown for having one of the narrowest thoroughfares in Britain, the aptly named Squeezy Belly Alley! 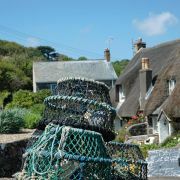 Fishing and scenic trips can be taken from the harbour during the summer months. 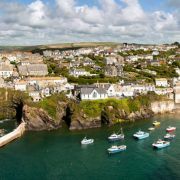 Both Port Isaac and nearby Port Gaverne are within what is both an Area of Outstanding Natural Beauty and a Heritage Coast Area. 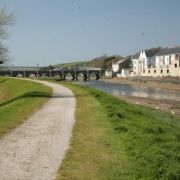 Consequently, there are lots of lovely walks along the coast and inland. Port Gaverne is a pretty unspoilt cove around the corner from Port Isaac. 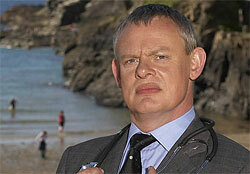 There is a sheltered, sandy beach, with rock pools, probably one of the safest in North Cornwall for young children. 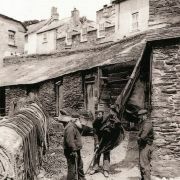 In the 19th century the hamlet was a slate, coal, limestone handling port. Shipbuilding also took place here. 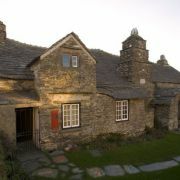 Some old buildings on the quay, which was once used to export slate from the nearby Delabole Slate Quarries, have all been converted into holiday accommodation. 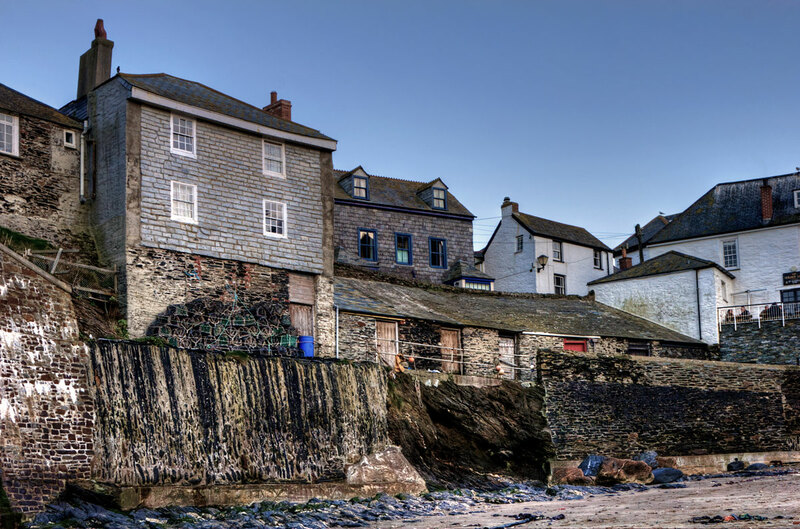 There is a 17th century inn in the cove offering food and accommodation. 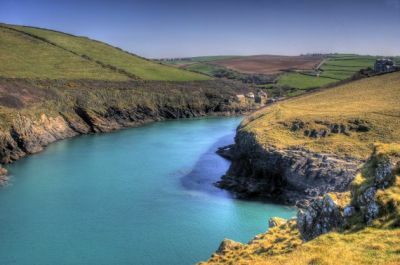 Port Quin, a few miles to the west, is largely owned by The National Trust. After a storm took most of its men folk, the village was deserted. 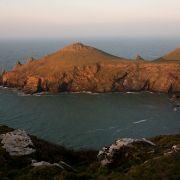 There is an interesting walk from Port Isaac to Port Quin. From the harbour, climb up Roscarrock Hill and take the route to Pine Haven. 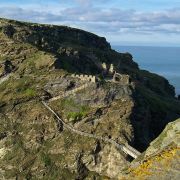 There are some beautiful views along the route and, close to Port Quinn, is Doyden Castle, once used in Poldark. The castellated folly was built in 1830 and is now an hotel. 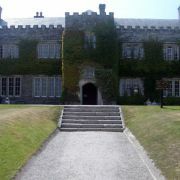 At nearby St Endellion, classical musical festivals are held in the parish Church, at Easter and Midsummer. 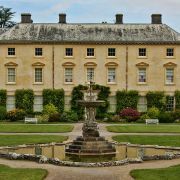 Located adjacent to the Long Cross Hotel are Long Cross Victorian Gardens, the only public gardens on the North Cornish coast. The gardens are in their original Victorian layout and were constructed primarily to overcome the difficulties of the local climate. 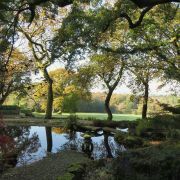 They cover over 2 acres and feature a maze, small lake, dovecote, children's play area and pets' corner. 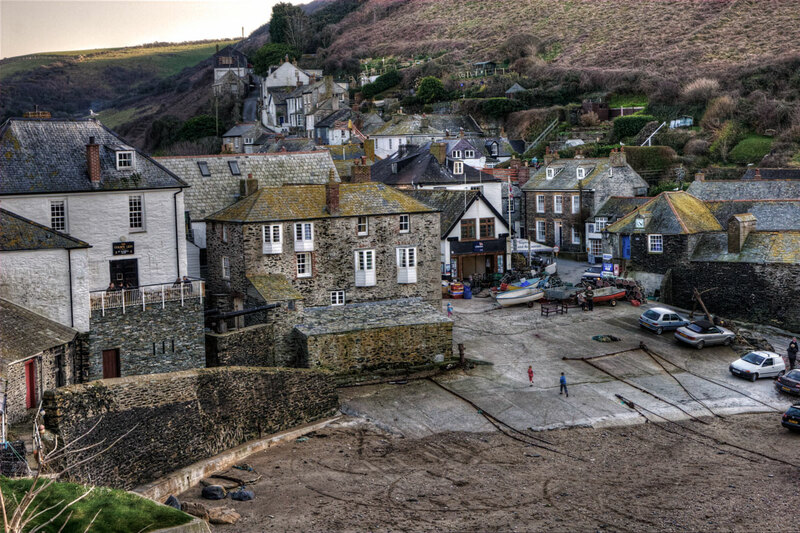 Over recent years Port Isaac has become a popular location for both films and television series. 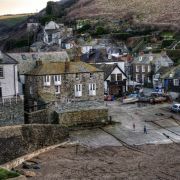 The village is possibly best known as the fictional Portwenn from the ITV television series Doc Martin starring Martin Clunes. 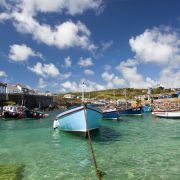 Interestingly enough, Port Wen is the old name of nearby Port Quin. The 2000 comedy thriller Saving Grace was also filmed in the village as was Swept from the Sea in 1997. More recently scenes from Cornish author Rosamunde Pilcher's The Shell Seekers featuring Vanessa Redgrave were filmed on Fore Street. 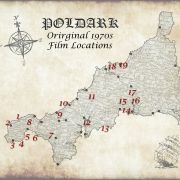 The village's popularity as a filming location dates back further than this though with much of the television series of Poldark being filmed here in the 1970s. 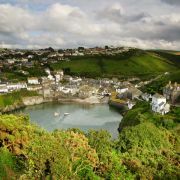 Although Port Isaac has only a shingle beach, there are other attractive sandy beaches within a short distance. 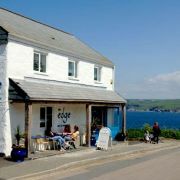 Four miles away is Polzeath, the area's best surfing beach, and around the same distance away is Daymer Bay, a beach welcoming both families and pets.